In part 2 of “Island Trek” we left off at “Parsons Landing” on the east side of the island in a hidden cove. We began our final leg of the journey to the end of the island, the last most northern point at trails end. Lance, Jarrod and I moved out early in the morning to spend the entire day on the trail. We were hoping for smooth sailing and a scenic walk on the shore side enjoying the cooler weather and ocean breezes. No such luck! All hopes were soon dashed as the trail headed to the heights above heading toward the clouds, looking down upon “Parson’s”. Steep grades and demanding climbs were the order of the day. Now walking with day packs and light loads we hiked for the better part of three and half hours. We reached Island end at “Star light beach”, located at the furthest Northern end of the island and finally trails end. On this walk you have to earn every step and there’s no smooth flat surface, you will pay the price for the entire island. Reaching the end of the trail, we made our way along the edge of a cliff plummeting down 60 feet, carefully walking along a narrow foot path. Once at the end you will overlook the beach 40 foot below. 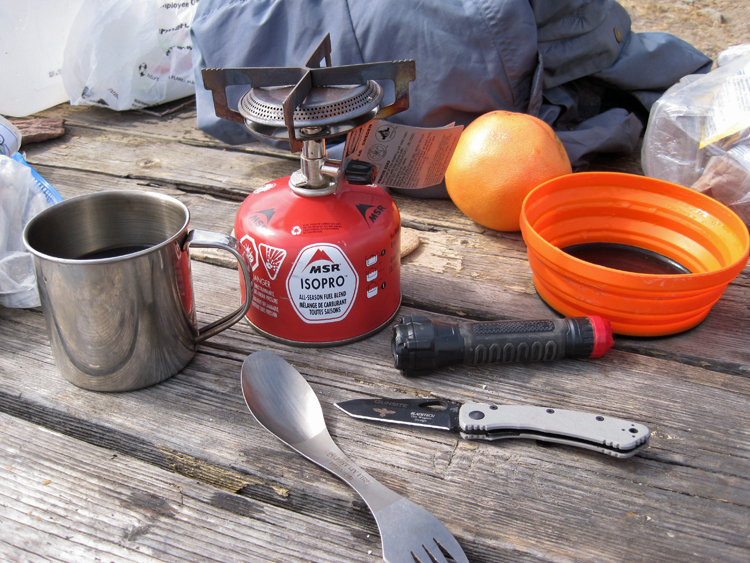 There is a small flat spot for a camp fire and break. We dropped our packs, onto our backs and relaxed for a moment to catch our breaths. Soon after we broke out what remained of our food stuffs, eating lunch leisurely, several ships slid by sailing across the water. After a break, lunch and much water we stretched, off we went! Back to “Parson’s” to spend our final night and make our way back to Avalon by boat from “Two harbors”. No easy walk, in both directions a challenge regardless of fitness level, we made our way back to camp. After a couple of hours of hard walking and climbing we arrived at “Parson’s”. Back on the beach watching the tide roll in we set camp and enjoyed what remained of the last of our food for the trip. 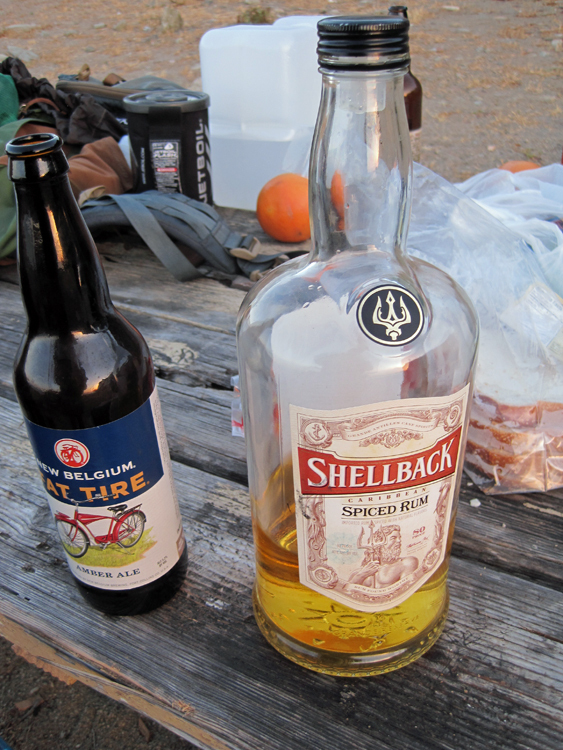 Slugging down rum, hot food and soup we made a fire and enjoyed the evening. The next morning we packed it in and headed off to two harbors for the last and final day of the trip. 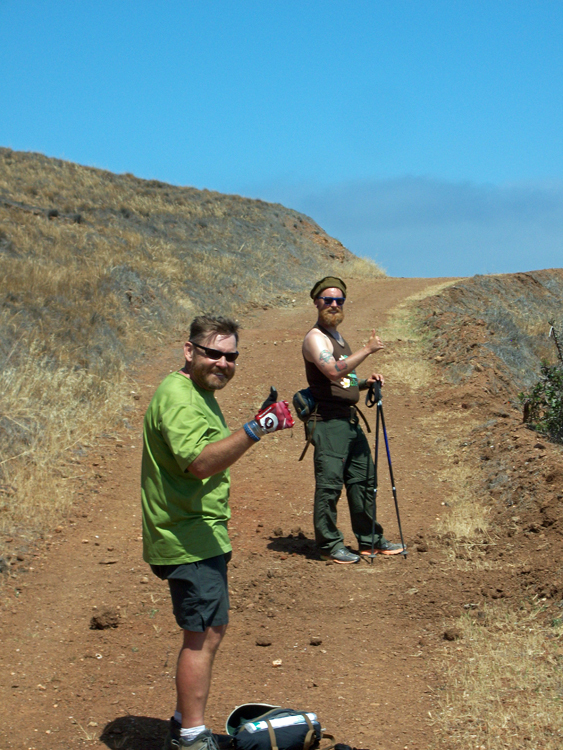 With the “Trans Catalina trail” complete we stuck to the road and moved out rapidly keeping a fast road march pace and getting stretched out. 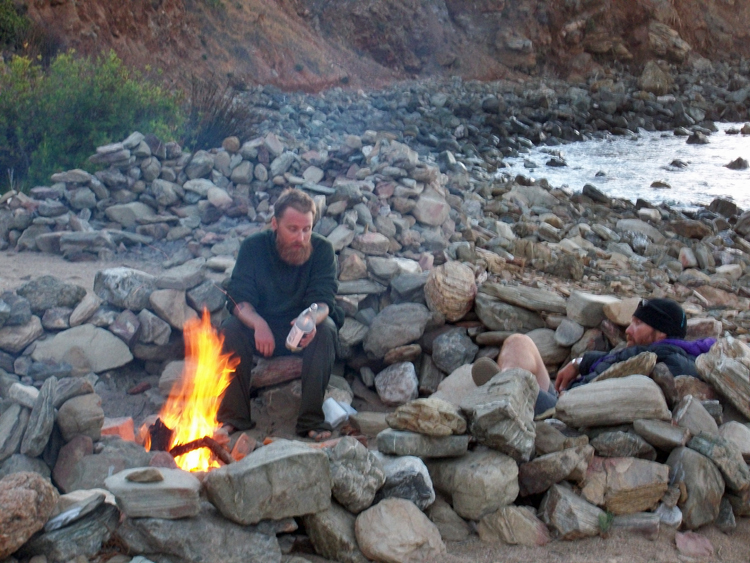 Eight miles of flat walking along the sea shore on a hard ball road, this gave us time to absorb it all. We enjoyed the vistas, the walk and the weather taking it all in as we brought our trek to its final conclusion. It had been a wonderful adventure and worth the pain and hardship. We made our path to “Two harbors”, there we had a meal and waited for the “Avalon express” boat to pluck us off the island, transporting us back to the mainland. The boat arrived in the mid afternoon and then off to Avalon first then to the mainland for drop off in San Pedro where it all began. Once on the mainland we made our way to a cheap hotel for a shower, good food and a cold beer. 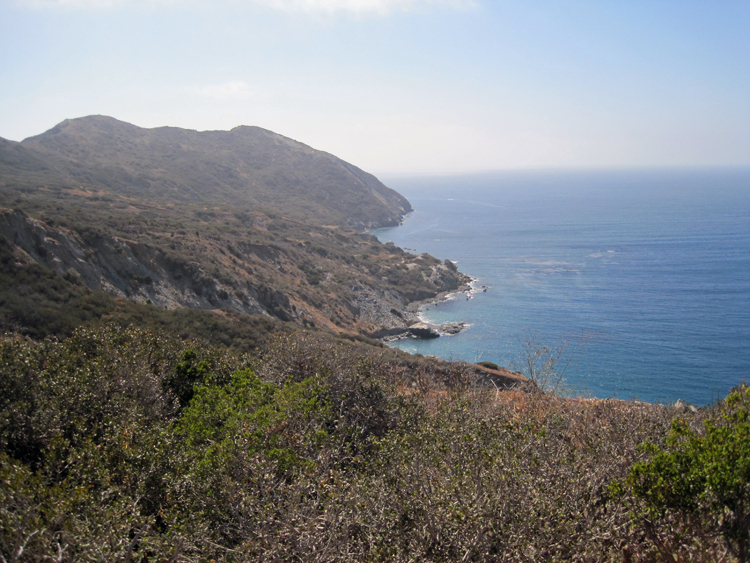 It was a majestic escapade through the inner region of Catalina Island seen by few. I highly recommend the jaunt and the challenge. Conclusion; this is an amazing trek filled with natural beauty and breath taking views. 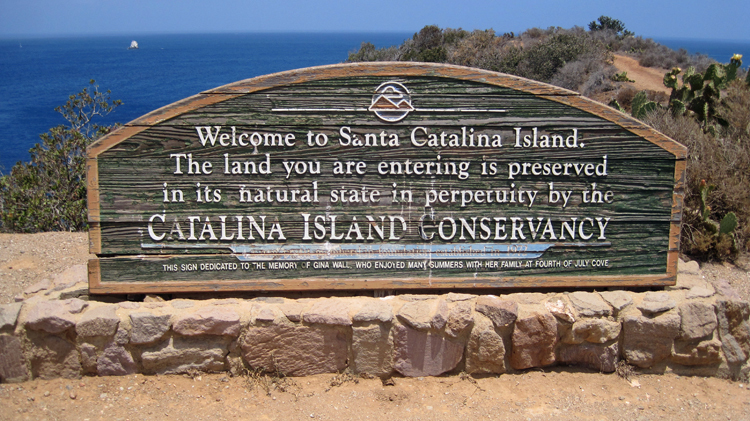 The history of the island is of old California. 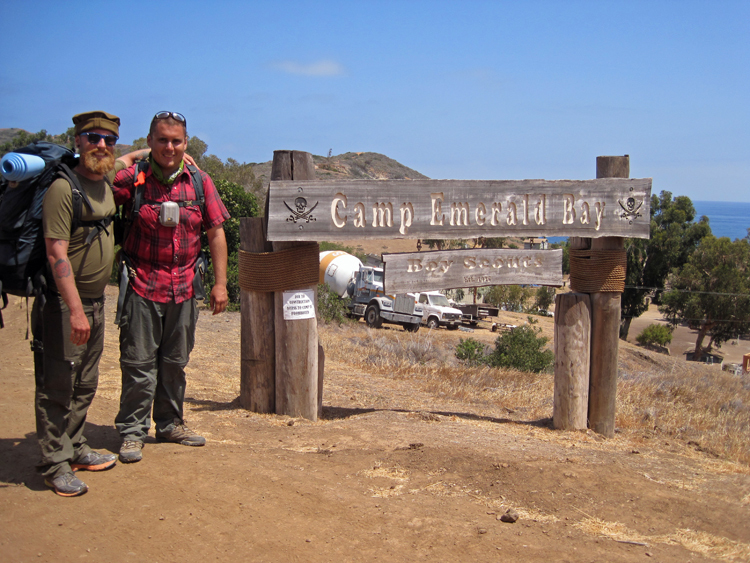 It reminds me very much of hiking Camp Pendleton as a young boy in military school and during my time in the Marines. California has changed much in the last two or three decades. It’s now a congested, over-populated and overcrowded urban sprawl. 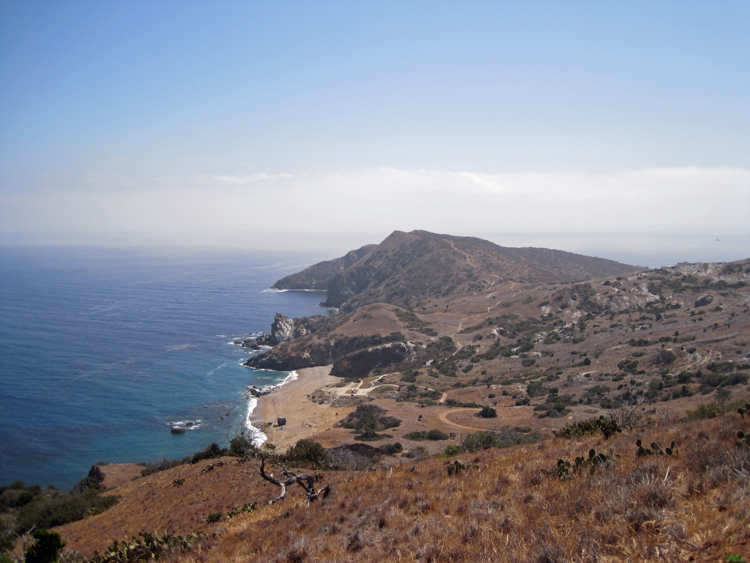 Much of the natural beauty of southern California has diminished and subsided due to development and an exploding population growth. With this have come gang violence, crime and bumper to bumper traffic. The natural beauty of south California is more and more disappearing. I grew up in Orange County, California, now it barely resembles anything that I remember. Catalina is like traveling back in a time machine to the early days of California. The wild life, mountains and vegetation is intact, preserved for future generations to enjoy. While hiking we saw few people and walked alone many days, the solitude is magnificent. I highly recommend this walk and enjoyed it thoroughly. This was a family bonding trip, and quiet destination to clear my head of the hassles of everyday life. 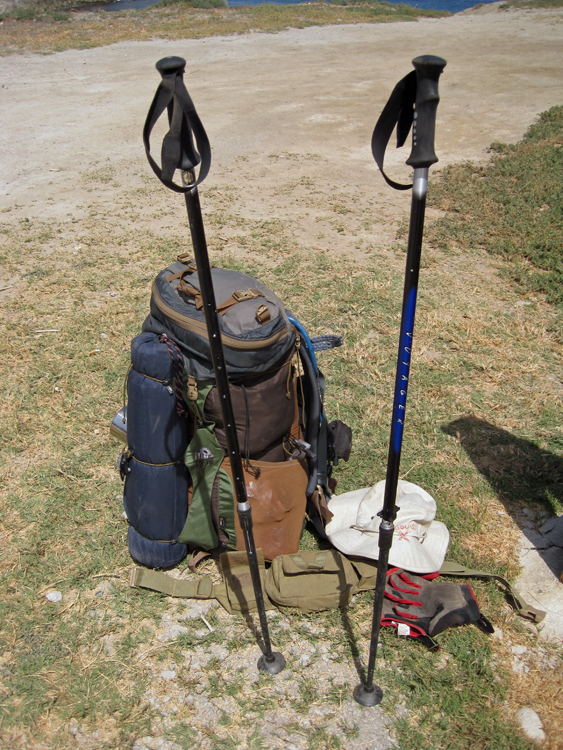 Recommendations, insights and suggestions; Prepare and don’t underestimate this walk or the physical requirements. I researched this trip thoroughly before embarking on it and planned extensively. There are many good helpful videos on YOUTUBE that will provide solid information and suggestion on what to expect. Don’t underestimate the physical requirements, this is a strenuous walk and requires some physical preparation beforehand. Bring money and a credit card. The stores and prices in “Avalon” for food are relatively cheap and not over priced as compared to the mainland. However “Two Harbors” is extremely overpriced. The temperatures are very warm here in the summer, be aware! I prefer hiking in 65-80f weather. Spring time and mid-winter is the best time for me. Summer temps can get into the 100s.